You are the mayor of a tiny town in the forest in which the smaller creatures of the woods have created a civilisation hidden away from predators. This new land is small and the resources are scarce, so you take what you can get and never say no to building materials. Cleverly plan and construct a thriving town, and don't let it fill up with wasted resources! 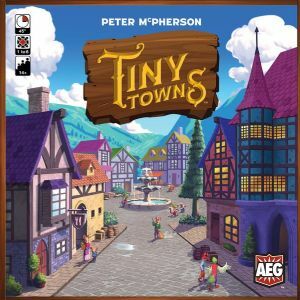 Whoever builds the most prosperous tiny town wins!